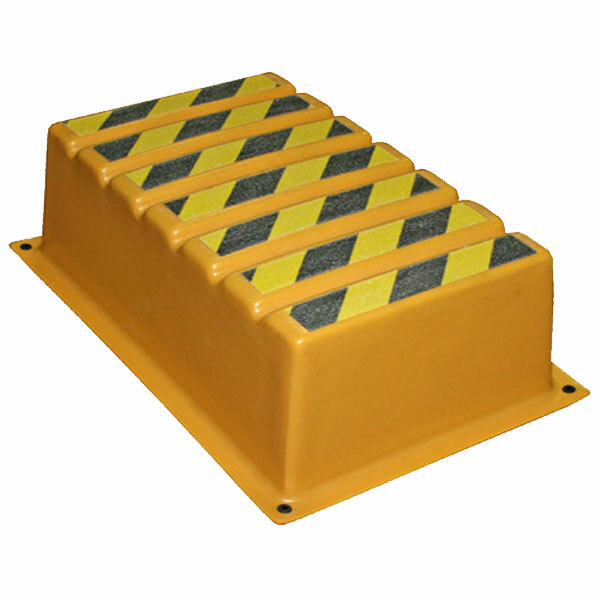 The SS Series SS1-L One-Step Safety Step Stand Long Platform is a safety step stand with grit tape, recessed channels for liquids, nestable, resistant to corrosives, easy to care for, long-lasting, heavy-duty, high-capacity. OSHA compliant. Also referred to as plastic step stands, step stools or load stands. One step platform model. Outer Dimensions (OD) (LxWxH) 29 x 19 x 10"